East of Galveston across the channel leading to the Gulf Of Mexico is Bolivar Peninsula named for Simón Bolívar, a 19th century revolutionary. Bolivia is named after him as well. At the eastern end of Galveston, is the Galveston channel which connects Galveston Bay to the Gulf Of Mexico. 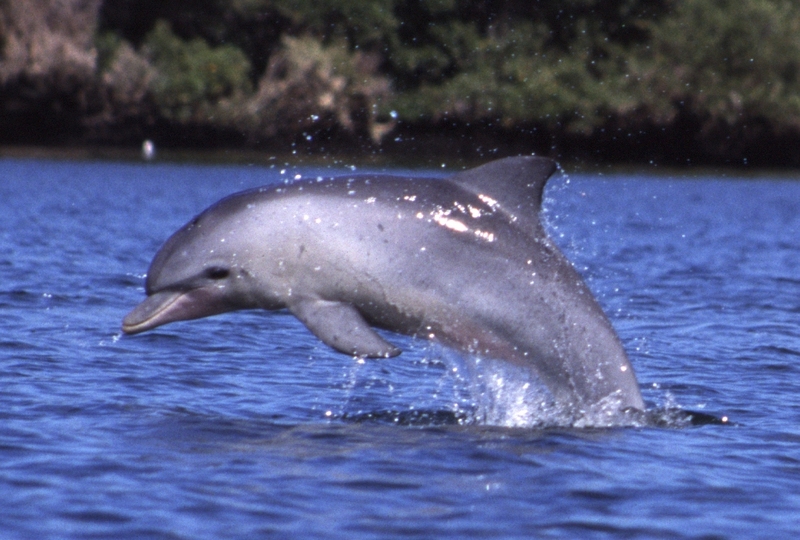 The dolphins feed in this channel and are often found in pairs. This author sees dolphins on about 50% of the trips. During the summer season, up to five ferries run and while the line for cars gets long, one can drive right to the front and park in the lot. Then one just walks on the ferry. Dolphin watchers can go across and just stay on the ferry for the return trip. There is no charge for the ferry ride. In the high season, the ferry runs every fifteen minutes. Bay Watch Dolphin Tours is highly recommended. If your children have never been out on a boat, this is a great opportunity. Unless there is a strong wind, Galveston Bay is a pretty tranquil body of water. The tours leave every hour on the hour. $10 for adults and $5 for children. They have coupons at this link. The Galveston Historical Society has it’s own tour boat, the Seagull II and we highly recommend it. Of course, Galveston Harbor is very tranquil and a good test for people that may be prone to sea sickness. The harbor is the cruise ship terminal as well as home for many drilling platforms and oil service boats.